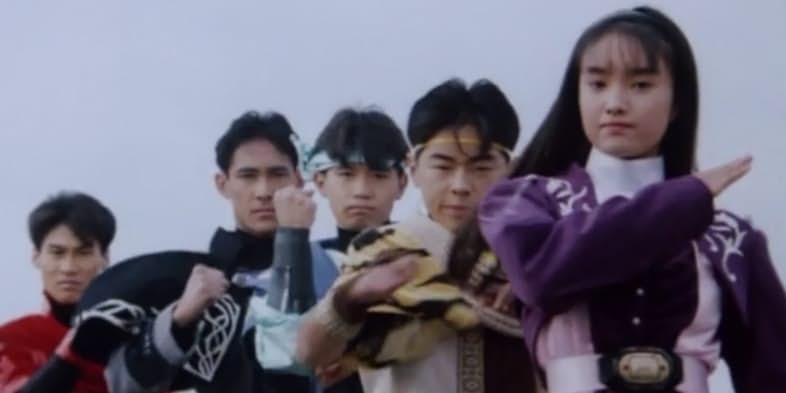 Tommy Oliver’s Japanese counterpart as the Green Ranger was Burai, or more accurately ‘Yamato Tribe Knight Burai’, because it’s Japanese television and everything has to be eight times as long. It’s really impossible to understate how different Zyuranger and Mighty Morphin Power Rangers really are, because aside from coloured suits and Zords, you’d never even think that one spawned the other. For example, the Blue Ranger is kind of an idiot, the Yellow Ranger is a guy, and there’s no Zordon or Alpha; just an old guy with a staff.